Experience the beauty of the Red Sea’s coral reefs from a semi-submarine. See all of the colorful fish and beautiful coral while sitting dry in a semi-submersible. This is a great way to see the reefs for children or those unable to snorkel or scuba dive. 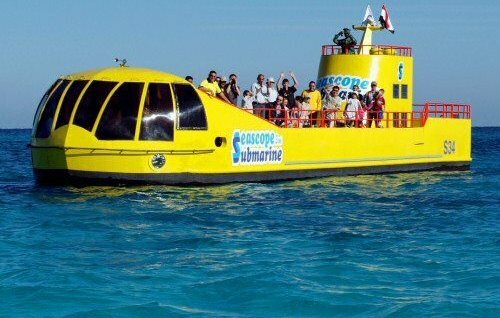 Explore the exotic underwater world of the Red Sea by semi submarine from Sharm el Sheikh. Submerged below the water line, get to see this world class dive site in air conditioned comfort without getting wet!